This month for the November Spotlight we will feature three of the UCSD Global Health Program Reps who have completed their Global Health Field Experience this summer through various avenues. First up, we have Ashley Emuka, whom you may remember as the winner of the Global Health Program Field Experience Scholarship. Ashley traveled to Cambodia this summer with Alternative Breaks at UCSD. We asked Ashley…..
What was your most memorable moment during your field experience? There were so many memorable moments! We saw so many temples, took a boat trip around the Mekong River, and visited the Royal Palace. Nevertheless, the one that comes to me right now is when my group (Alternative Breaks: StarU) went to the Night Market by the Mekong River. Some of the children we were teaching English to performed cultural songs and intricate heritage dances in ornate Cambodian costumes. They were so excited to see us, they would not stop giggling, wiggling, and hugging us. We took so many pictures with them, many of which were blurry and extremely candid. It was memorable because it was the one and only time that we interacted with them outside the orphanage, and you could see their passion for their craft. You could also see their struggles, as they kept a donation box by the stage. I was crying real tears for so many reasons: it was so cute, it was so sad, I was so proud of them. You could really see that English could change their lives in terms of survival, but they were doing just fine with Khmer. I knew that I would miss them severely after this. What is something you wish you knew / what is one piece of advice you have for students who will be completing their field experience soon? I REALLY WISH THAT I HAD TAKEN MORE NOTES WHILE THERE. I have a lot of photos and video, but I only wrote in a journal twice during the trip. The photos and video only tell half of the story, and I’m having trouble recalling some of my emotions during some of the experience. I also wish that I had written down more global health observations. If you are completing your field experience soon, be sure to document the experience fully with a small notepad or nightly reflective journals. Could you give us a short description of your field experience? How do you think this experience has influenced your understanding of the field of global health? In short, 11 participants and I went to Cambodia this past summer to care for children with disabilities and teaching underprivileged children in orphanages for 2.5 weeks. We worked with two non-profits, Star Kampuchea and UBelong. We went to our services from 8 until 10, took a lunch break until 2, and continued on until 4. It was frustrating work because we were just handed a grammar textbook and told to make lesson plans, but the children were so dedicated to their studies, albeit being naughty sometimes. We taught them English through song lyrics (they love Adele!) and body language. It has influenced my understanding because I saw firsthand how the structural violence of poverty affects whole families and their health. Many children in the orphanage still had families, but they could not afford to care for them. Their physical health was fragile and the revolving door of international volunteers could not have been good on their mental health either. Poverty is a bigger issue for me now. How did your field experience relate to your career aspirations? Because I am interested in government systems and healthcare, I really want to focus on alleviating poverty as a start to navigating global health issues as a whole. The United Nations and World Health Organization is focused on infectious diseases, but I feel like there should be more of an emphasis on poverty. Later, I also want to start a committee that focuses on the mental health of people in developing countries, especially children. 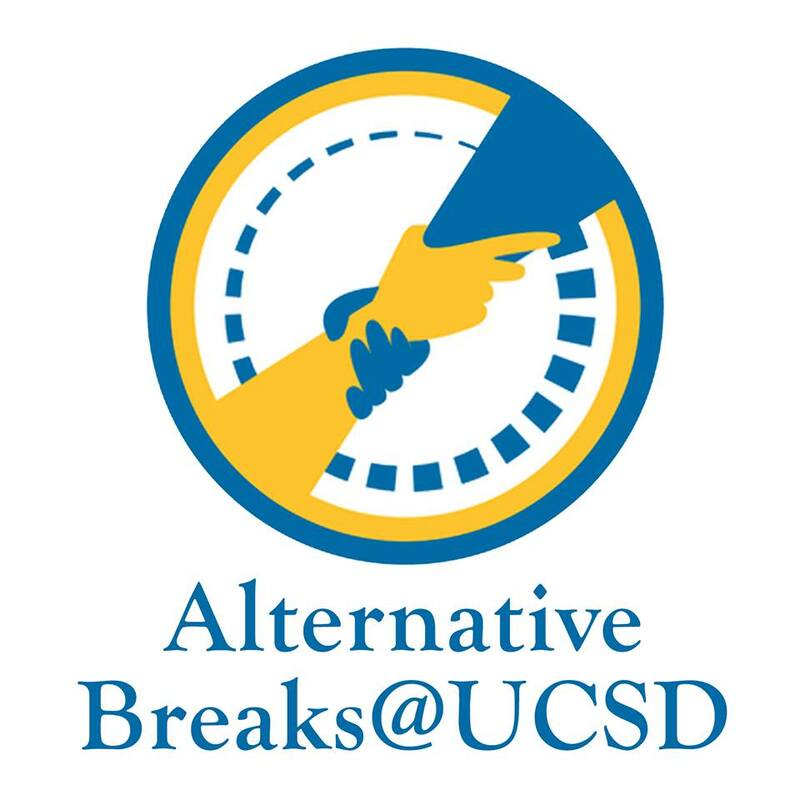 Learn more about Alternative Breaks! On the surface what we do is simple – during spring and summer break each year, we send student volunteers to collaborate with various community-based non-profits around the world to work on social justice issues. It is an alternative to the typical way college students spend their short break away from school. This gives them a meaningful opportunity to give back to society. Hence the name Alternative Breaks! Look a little deeper and you will find that AB@UCSD does more than just address the superficial symptoms of a social justice issue. We establish a platform where passionate student volunteers can contribute their time to help address pressing social issues around us, not just in the United States but also in the global scene. We are a student run, student led organization dedicated to creating a society of globally conscious active citizens.